You must be 25 years old to rent this house! Located in the gated Dunes Subdivision, this beautiful home offers 4 bedrooms and 3 baths & sleeps up to 12 people. From the balcony you will enjoy panoramic water views & lush landscape surrounding this gorgeous home. There are 4 beautifully decorated bedrooms at Sea-la-Vie, 3 on the main floor & one downstairs. The first room to the right has a King size bed and shares bathroom with the living room. The Master bedroom features a King size bed and private bathroom. Across the hall is a bedroom with two Queen beds and a full private bath. The hallway also features two built in bunk beds- perfect for the kiddos! The downstairs bedroom has a separate entrance, 2 twin beds, window a.c. and entertainment system. It's great for young teens!!! The features of this home include an open living room/kitchen with vaulted ceilings and several TV's, DVD players & VCRs. Free wireless internet access.There is a full sized kitchen fully stocked with all the amenities to make you feel right at home. Enjoy the large deck to take in the view for your morning cup of coffee or dinner or just relax in one of our comfortable rocking chairs to read your favorite book. Underneath the house are two wooden picnic tables and a seating area, perfect for a shrimp boil or bar-b-q!! There is also a charcoal grill provided for your convenience if you desire to cook at home, or there is a restaurant within walking distance at the Gulf Shores Marina if you prefer to eat out. Fort Morgan offers all sorts of outdoor activities including pontoon boat, jet ski, kayak, and bike rentals across the street, the Historic Ft. Morgan, hiking trails, and of course, the finest beaches you will ever see! This property only rents Saturday to Saturday year round. Book Sea-la-Vie for a vacation you will never forget! Call us today for availability and more information. Perfect Beach House for our annual trip to Fort Morgan! "Sea La Vie was an absolute dream! We've been making an annual friends trip to Fort Morgan for years now and this would be our 5th time! To say this was one of our favorite houses is an understatement! Don't be fooled by the deceptive looks of its size, all 11 of us (plus 3 kids) fit in this house very very comfortably, with everyone having a nice comfortable bed to sleep in (an issue we run up against when finding houses!). There was even a surprise queen bed on the bottom room (where there was only supposed to be two twins!). When we got there, everything was very clean. The kitchen is a really nice size with a fantastically large island. We loved having four FULL bathrooms, plus the outdoor shower was amazing! Lots of seating area under the house, which was such a huge plus. And we loved being in the Dunes estate because that meant the kiddos had a pool to play in. The walk to the beach is maybe 4 minutes! Sunset Properties was super responsive and on the ball about everything. We had some issues with the internet at first, but they took care of things even if it was on a Saturday, plus they went above and beyond in helping me find an item we left behind! Overall a fantastic stay, we would definitely recommend this house to anyone and come back again!" "This house was perfect. It is much bigger than it appears on the outside. The beach is very close. It was not a hassle at all to get there and we had a crowd of 15 people. The outdoor pool is literally right beside the house. The house was well equipped. We truly enjoyed our stay. Sunset Properties were very friendly and responsive. We will for sure book this house again. " "Yay!! Thank you, Brandy, for the great review! I am so glad that Sea La View worked out for your crowd! We would love to have you back down here! Just give us a call and get your next vacation booked!" "The house was awesome! We can’t wait to come back!!!" "Thank you, Emily, for taking the time to leave a review of your stay in Sea La Vie! We would love to have you come back and stay again!" "The home was roomy and comfortable. We had 8 adults and 2 children. The home was a short distance to the beach and we had the chance to experience our first Tropical Storm. " "I am so glad Sea La Vie worked well for your family! And I am also glad that Gordon didn't disrupt your vacation too badly! Maybe when you come back, the weather will cooperate!" "We enjoyed our stay at your facility. It was close to beach with sufficient bathrooms and bedrooms." "Thank you for the review on your stay at Sea La Vie! I am glad that this home worked well for you and your family. We would love to book it again for you in the future!" "We had a wonderful stay at Sea La Vie. The house was furnished well, had a stocked kitchen, and was very clean. The short walk to the beach was great. The bathroom and rinsing area under the house were really helpful as well." "Yay! Thank you for leaving a review on your stay at Sea La Vie! We love to hear from our guests! Call us when you are ready to come back!" "Sea La Vie was an absolute dream! We've been making an annual friends trip to Fort Morgan for years now and this would be our 5th time! To say this was one of our favorite houses is an understatement! Don't be fooled by the deceptive looks of its size, all 11 of us (plus 3 kids) fit in this house very very comfortably, with everyone having a nice comfortable bed to sleep in (an issue we have occasionally run up against when finding houses!). There was even a surprise queen bed on the bottom room (where there was only supposed to be two twins!). The bunk beds were full sized, which was also really nice. When we got there, everything was very clean. The kitchen is a really nice size with a fantastically large island. The living room has tons of seating which was great for our large group. We loved the front porch, which we really enjoyed being on in the mornings. We loved having four FULL bathrooms, plus the outdoor shower was amazing! Lots of seating area under the house, which was such a huge plus. And we loved being in the Dunes estate because that meant the kiddos had a pool to play in. The walk to the beach is maybe 4 minutes! Sunset Properties was super responsive and on the ball about everything. We had some issues with the internet at first, but they took care of things even if it was on a Saturday. There was a security guard on staff all weekend, so that was a pleasant surprise as well. Overall a fantastic stay, we would definitely recommend this house to anyone and come back again!" "Thank you so much, Stephanie, for the great review! We love being a part of families making memories! Give us a call when you are ready to book your next trip!" "The house and property was very clean and had everything that we needed. We were very close to the pool and beach, which was a good thing. The only thing we were disappointed by is that the property was further away from al of the restaurants and other activities than we anticipated. Other than that, we loved the house and being able to enjoy that wonderful breeze sitting on the porch. " "Delita, we are very glad you enjoyed your stay, happy to have you come out! We are out from all the hubbub a bit, but sometimes that's a good thing!" "Sunset prop is great to work with. We had great weather all week and lots of sunsets and sun rises. Enjoyed the week!" "We are so glad you enjoyed your visit to Fort Morgan! I noticed you gave us a 3 on location, we try to always make sure our guests are aware of our seclusion, that's one of our great selling points! We strive to have clean units for our guests, we have very high standards, if you have a problem in the future please let us know, so we can address it at that time. Thank you for taking time to give us a review." "We loved our week at Sea La Vie in Fort Morgan. It was a great house, good location,nice amenities and family friendly. It is in a cul de sac and great for young children to play. The pool across the street was cleaned daily and the beach just a short walk away. We spent a lot of time on the porch and were able to see ships going into Mobile Bay. The only problem we had was jelly fish stings and the property owners could not help with that. Great place to stay." "Yay! We are so glad you had the perfect vacation! Come back and see us soon!" "Sea La Vie is well equipped, comfortable, and the perfect vacation place for our family of 10. The white-sand beach is beautiful, and the kids love the pool. Sunset Properties staff was very accommodating and helpful. If you walk just across the road you can enjoy a nice meal at Tacky Jack's, purchase ice and supplies from the Fort Morgan Marina, or watch fisherman come in with daily catches. I would recommend this property to friends and family. " "We are so happy you chose to spend your vacation with us! " "Overall the house was great! It did need a bit more cleaning and maintenance though. It was clean on the surface but needs some deep cleaning. The decorations on the walls and ceiling fans were very dusty. It was very accommodating and had a well stocked kitchen. It was perfect for our extended family vacation." "Thank you for taking time to write a review of SeaLaVie. Glad to hear you had a greaat vacation and that overall the house was great! 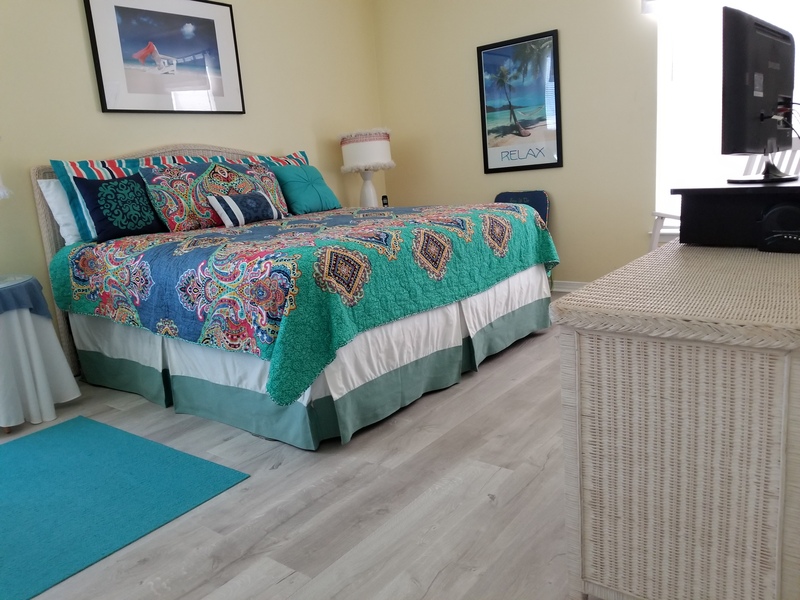 SeaLaVie is a very family friendly beach house, from the great kitchen to the outdoor shower facility and downstairs bedroom for teens that want to be away from the grownups, it has something for everyone. Yes it is deep cleaning time, after a long busy rental season the units are showing signs and begging for some TLC and deep cleaning. Again, thank you for reviewing this property and please call us again soon to book your next beach vacation. Sincerely, Sunset Properties Staff"
"The wifi in the house needs to be upgraded. Had very very limited usage of laptops, cell service etc. Had to go to families house near the office to use the internet. No problems with anything else. Would have loved to have access to the golf cart. That would have been a big plus. " "Thank you for taking time to write a review of your stay in SeaLaVie. We will let the owner know about the wifi issue and we are hoping the two new cell towers on the Indies condo building will provide much better service for all of our guests. As for the golf cart, that is the owner's personal gplf cart and due to liability issues they choose not to let renters use it. We are glad that you found everything else in the home to be perfect for your beach vacation. We look forward to booking your next stay with us soon! Sincerely, Sunset Properties Staff"
"Our family beach trip was made up of grandparents, children and young adult grandchildren. The house was set up very nice and equipped very well. The location was a short walk to the beach but close enough we could hear the ocean which was very relaxing. We were across the street from the pool which was convenient. Our family enjoys fishing and they fished every day from the shore. We cooked their catch one night and had enough leftover to bring home. A great community"
"Thank you for taking time to write a review of your stay at SeaLaVie. WE love to hear that our guests are pleased with their accomodiations and that they enjoy our little island paradise as much as we do! SeaLaVie provides the perfect place for a family with to the pool, the beach and fishing, even a little getaway bedroom for teens. Again thank you for writing a review and please call us soon to book your next vacation with Sunset Properties. Sincerely, sunset Properties Staff"
"Overall it was a wonderful vacation. The layout of the house was perfect for our party of 9 (5 adults and 4 kids) and the 2 girls really enjoyed having thier own suite on the bottom floor. Since the house is far from restaurants and attractions, most of our time was spent on the beach or enjoying the gulf view and breeze from the front deck. Our biggest complaint was the group of young teens driving up and down our street on golf carts well into the late night, every night. They must have gone up and down our street hundreds of times and nearly ran over kids and adults trying to enjoy their walks to the beach. It made relaxing on the front deck nearly impossible. Driving restrictions should be considered. The pool is just across the street from the house, which was very convenient. The furniture is nice and the decor is very beachy." "Thank you for taking time to write a review. We are glad to hear your vacation was good overall and that the house was so well suited for your family. We are sorry you had problems with noisy, reckless teens on golf carts. We are trying to implement stricter driving regulations for next season and hopefully that will no longer be a problem. We do hope you will call us soon to book your next stay with us. Sincerely, Sunset Properties Staff"
"The size and location of the property were why we returned for a 2nd year. Property is a great fit for our family. Look forward to many more relaxing weeks in the Gulf Shores area." "We are so glad you had a fantastic time. We look forward to seeing you and your family and hearing about your memories for years to come. Thank you for taking the time to review this property and your stay! sincerely, The Sunset Properties Staff "
"We enjoyed the week. If there is an improvement that could be made it would be with the reliability of the internet. We stay at this same location 2 years ago and had better reception. Otherwise the stay was great. " "Thank you so much for taking the time to review this property and your stay! We are so thrilled to hear you had a wonderful vacation. We will speak to the owners abot th einternet service and see if there is room for improvement. Thank you again and we look forward to seeing you in the future. Sincerely, The Sunset Properties Staff"